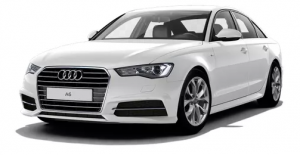 Compare car brands Audi, BMW, Ford, Holden, Honda, Hyundai, Kia, Mazda, Mercedes, Mitsubishi, Nissan, Subaru, Suzuki, Toyota and Volkswagen on factors including driving experience, reliability, value for money, car servicing and overall satisfaction. Canstar Blue research finalised in Januray 2018, published in March 2018. Suzuki has taken the top podium position in Canstar Blue’s customer ratings for new cars in 2018, scoring five stars in regards to reliability, value for money and overall satisfaction. Buying a new car can be one of the more exciting times in your life, as well as one of the most financially draining. 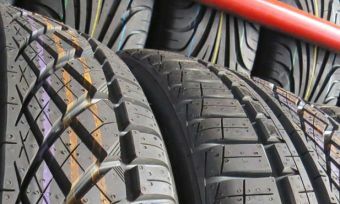 As a result, it’s not a decision to be made lightly, with so many options and factors to consider before you even step foot in a dealership. 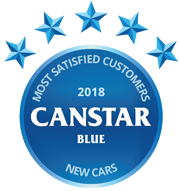 With Australia home to many car brands and models, picking a new car can be a tough decision, which is why Canstar Blue produces an annual review to understand which manufacturers are the highest-rated across several important factors, including reliability, value for money and customer service. Suzuki came out on top with five stars for overall satisfaction, reliability and value for money, as well as four stars in most other areas. Honda, Hyundai, Kia, Mazda, Mercedes, Toyota and Volkswagen all scored four stars for overall satisfaction. Audi, BMW, Ford, Holden, Mitsubishi, Nissan and Subaru all scored just three stars for overall satisfaction. 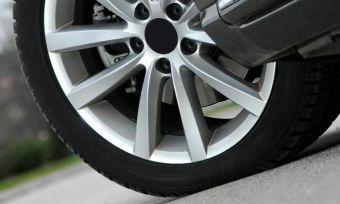 Five-star reviews were in fairly short supply, but a notable mention is due for Hyundai and Kia for earning top marks on value for money, while Mercedes and Volkswagen were the only two brands to receive five stars for driving experience. 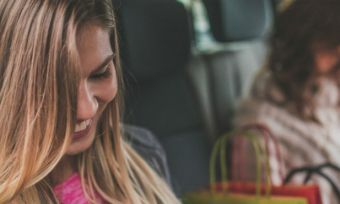 While buying a new car is a hard decision, the good news is that 90% of motorists who took part in our survey declared themselves pleased with the price they paid for their new wheels. And that’s good to hear, especially when you consider they spent an average of just over $38,000 on their new cars! But Aussies are fairly savvy shoppers, with 50% waiting for a traditional sales period before making their move, while 80% tried to negotiate a lower price before shaking hands with the dealer. As well as identifying which car manufacturers are rated highest in Australia, we also asked motorists to tell us what the biggest deciding factor was in their purchase decision. Finding the right car for you will ultimately depend on what you’re looking for, so to help you along the way, here is a guide to the 15 car brands in this year’s review and what they have to offer. 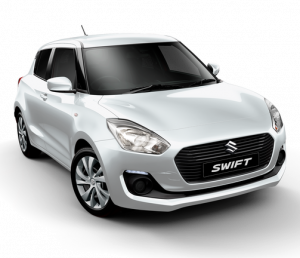 The Japanese manufacturer has been a staple within the small car community, with its flagship Swift model one of the most popular cars on Australian roads. With a new 2018 model available, as well as the Swift Sports model also fresh on the market, Suzuki looks set to cement its reputation as offering great-value city run-arounds. For those after something larger, Suzuki offers the Baleno, S-Cross and Vitara models, suitable for larger families or those after that SUV feeling. In addition to its five-star sweep in our latest new cars review, Suzuki also earned four stars for driving experience, point of sale service and car servicing, while scoring three stars for after sale service. A consistent performer in the new car market, Honda has maintained its four-star overall satisfaction rating from last year, while also scoring four stars for its point of sale service, after sale service and reliability. It gained a top score of five stars for car servicing, but only scored three stars for driving experience and value for money. Honda has been a solid choice regardless of which car you’d like. Offering small cars, family movers and even sports cars, Honda has something for you whether you’re a lead foot or a Sunday driver. Keep an eye out for the new Civic and Civic Type R.
Hyundai has been the dark horse of the Australian car market over recent years, with the Korean company becoming increasingly popular thanks to its affordable and reliable models. In this year’s ratings, it scored four stars in every category except for value for money, in which it got five stars. 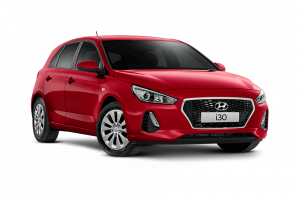 With a wide range of models, including the increasingly popular i30 and Veloster, Hyundai looks set to continue its recent success into the future, with the company looking to announce new models in the near future to get Aussie drivers excited. Hyundai also offers commercial vehicles such as vans and trucks, suitable for businesses. Another car brand that has gathered momentum over recent years, Kia has become a popular brand for those looking to treat themselves to a new car while still keeping an eye on the budget. Kia was one of only a few car brands to score five stars in the value for money category, with the company scoring four stars for overall satisfaction. Other results include four stars for driving experience, point of sale service and reliability, while Kia only managed three stars for after sale service and car servicing. 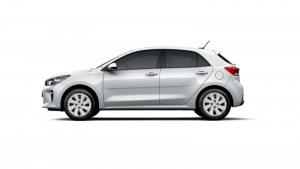 If you’re not sure what you’re after, Kia has a wide variety of models on offer, from the popular Rio small car, all the way through to the Kia Carnival people mover. While it may have been beaten at the finish line, Mazda is still a strong competitor within the new car market, with plenty of consumers still happy to ‘zoom-zoom’ around in one of its models. Scoring five stars for point of sale service and reliability, Mazda seems to offer plenty of new car thrills, which isn’t surprising when you consider the range of vehicles on offer. From the sporty MX-5 to the small Mazda 2, Mazda has a model for all driving types, with plenty of options for families as well. Mazda also got four stars for overall satisfaction, driving experience, after sale service, value for money and its car servicing. Keep an eye out for the new CX-8 SUV model. Known for its luxury models, you wouldn’t find many people who would turn down a chance to drive a new Mercedes. Gaining five stars for driving experience and after sale service, Mercedes was also the only car brand to score top marks for after sale service. Offering a wide range of vehicles, including sporty AMG coupes, luxury 4WDs and sleek sedans, Mercedes certainly knows how to turn heads. As aesthetically-pleasing as they are, Mercedes may also put a few people off with the price tag, with the German manufacturer scoring only three stars for value for money. Mercedes scored four stars for overall satisfaction, as well as point of sale service and reliability. 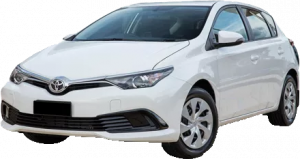 One of the most popular car brands in terms of sales volume, Toyota has been a contender for many Australians over the years. With a large selection of cars, including the popular hybrid models, Toyota scored four stars for overall satisfaction in our latest review. 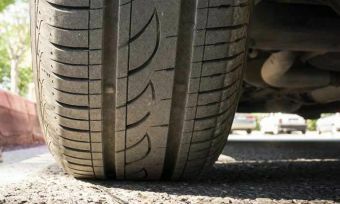 It also earned five stars for car servicing, as well as four stars for point of sale service, after sale service, reliability and value for money, while it only scored three stars for driving experience. New Corolla and RAV4 models are set to be unveiled later in the year, with the Japanese manufacturer also set to continue developing fully electric and hydrogen fuelled cars for more environmentally-friendly options for drivers. 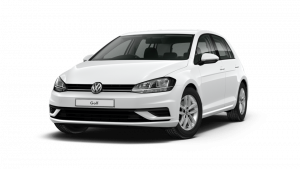 Despite recent legal and environmental criticisms, VW has been consistently popular with Australian drivers over the last few years, with the German manufacturer providing road-users with a wide variety of models, including the popular Polo, Golf and Tiguan models. VW looks to put recent troubles behind it, with new releases for both its Passat and Arteon models, with statements saying fuel-economy and emissions have been significantly improved, which will no doubt please many. In our latest ratings, VW scored five stars for driving experience, point of sale service and reliability, with four stars for overall satisfaction, after sale service and value for money. It scored three stars for car servicing. Another European luxury brand, Audi hasn’t scored as high as it has in past years, with the German manufacturer scoring only three stars in all categories, including overall satisfaction. Despite having a range of luxury sedans and 4WDs, Audi seems to have missed the mark with many Aussie drivers. But Audi will look to impress with its upcoming models, with the Q4, A6 and RS5 Sport all set for release in 2018. Audi is also working on the fully electric E-Tron, something that may prove to be a game-changer for the luxury car line. A new SUV model, the Q8, has also been recently spotted on test tracks, meaning consumers may soon have another option to consider. Winner for the previous two years, BMW has fallen off the podium after mixed results in our survey. While it scored five stars for car servicing and four stars for point of sale service, after sale service and reliability, BMW scored just three stars for overall satisfaction, driving experience and value for money, a far cry from last year’s results. Regardless of the results, BMW still offers a wide variety of models, ranging from the popular 3 series, to the family-friendly X Range as well as the thrill-seeking M Series, which is enough to keep any driver happy. A new 3 Series model is set to be revealed in the coming months, continuing on arguably BMW’s most popular series. While no longer manufacturing in Australia, Ford still appears to be somewhat of a fan-favourite, with the brand receiving a mix of three and four stars in our 2018 review. While it only scored three stars for overall satisfaction, driving experience and value for money, Ford also received four stars for its point of sale service, after sale service, reliability and car servicing, indicating that many Australians are happy to go with the blue badge. 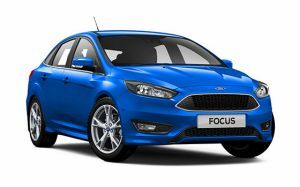 Ford offers popular models such as the Fiesta and Focus, as well as the classic Ford Falcon, with drivers also treated to the Mustang if they’re brave enough. Since the closure of Australian manufacturing, the company has been quiet on upcoming models and releases. Holden closed its Australian manufacturing plants late last year, with the company instead opting to import vehicles for the Australian market. It scored three stars in most categories, including overall satisfaction, with reliability the only four star rating. Parent-company General Motors will look to turn these ratings around, with multiple releases slated over the next year across all model types. 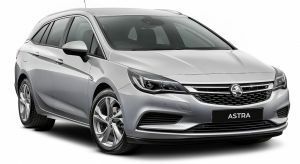 Holden’s current range includes the long-standing Astra and Commodore models, with multiple HSV models also available for those after a bit more grunt. 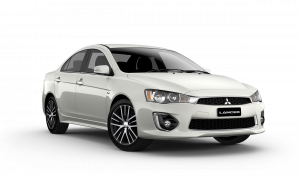 Marketed as a mid-tier brand, Mitsubishi offers drivers a cheaper option, while keeping up to date with the latest technology and trends. Offering a range to suit all drivers, regardless of whether they’re driving in the city or off-road, Mitsubishi has got Australian drivers covered. With a recent push for electric models, Mitsubishi is also keen to provide for the future as well. The Japanese manufacturer scored three stars for driving experience, after sale service, car servicing and overall satisfaction, while scoring four stars for point of sale service, reliability and value for money. The Outlander is set to have a new release at the end of this year, with Mitsubishi declaring five other models will be released by 2020. A solid performer over recent years, Nissan still has fans across Australia, with its wide range of models and car types enough to please drivers. From the exciting GT-R to the family friendly Patrol, all the way through to the tradie-approved Navara, the Japanese manufacturer has all driving-types catered for. While it scored three stars for overall satisfaction, Nissan was rated four stars for both reliability and value for money, indicating that there are still plenty of reasons to visit a Nissan dealership. And with an updated Altima model and the potential release of the electric-inspired Leaf set for later in the year, Nissan is worth keeping an eye on. Nissan also scored three stars for driving experience, point of sale service, after sale service and car servicing. With similar results to last year’s survey, Subaru has managed to remain a popular choice on Australian roads, with the Impreza and Liberty some of the brand’s top-selling models. Rated four stars for driving experience and reliability, it’s no wonder you still see many Subaru models on the road. Set to unveil a WRX model, along with a new Ascent SUV update, Subaru looks to improve its standing, catering to both the driving enthusiast, as well as the family market. While it may need to pull a few tricks out of the bag to catch competitors, Subaru may surprise a few with its current range. Subaru scored just three stars overall, with three stars for point of sale service, after sale service, value for money and car servicing. There is a lot to consider when it comes to buying a new car, especially if you’re looking to get a good deal. You’ll have to remember that buying a car often comes with extra expenses, such as stamp duty and insurance as well as registration, all of which can quickly add up. 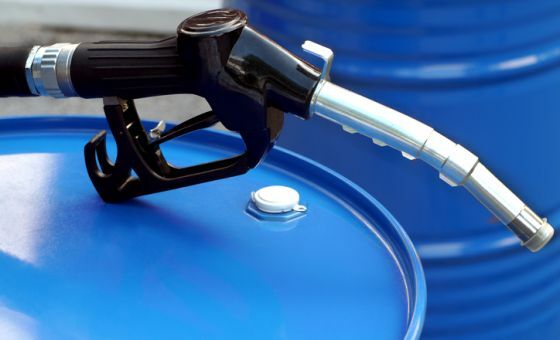 On top of that, running costs such as car tyres and car servicing will have a big impact on your bank account. Regardless of which model, make or brand you decide on, be sure to shop around and to haggle on price, as you may be surprised by how much you can save if you do your research and drive a hard bargain!